Rahul Gandhi has always been the strongest supporter of politics with a purpose throughout his life. Over the years after entering into the politics, he has raised his voice to a number of issues but never ever become violent and remained focused on propagating non-violence, justice, and equality. He has already developed his interest and focused on Indian politics and gained knowledge on Indian social fabric. President Rahul Gandhi is always following the way of Gandhian philosophies of truth and ahimsa. Rahul Gandhi was born on 19th June 1970 and spent his early childhood in the political center of India, Delhi. He also spent his childhood in Dehradun. He started his undergraduate career at Delhi’s St. Stephen College and then moved to Harvard University in the USA. He completed his graduation with a Bachelor’s Degree in 1994. After that, he completed his M.Phil from Trinity College of Cambridge. He started his career with Monitor Group which is a Management consulting firm based out of London. After that, he returned to India and built his own technology consultancy in Mumbai and led his team as a Director. Working in Management and Technology sector has influenced him in his political learning. The call to serve our nation came in 2004 when Rahul Gandhi chose to stand from his father’s electorate and continue the legacy of serving the people. From then till now, he has already dedicated his life for the betterment of the country and to serve the people of the country. In 2013, he was elected as the Vice President of the Congress Party. He played the key role to manage the party by following the Congress core principles. He is working for the students, youths and gives chance to the young generation to enter the party. His tireless work and dedication towards the political career earned him the post of President of Indian National Congress in 2017. Rahul Gandhi always played a vital role in raising the demands of various issues of the country. On the last year of 2018, he visited Germany and the United Kingdom from August 22 to August 25 and has created a waver in India. 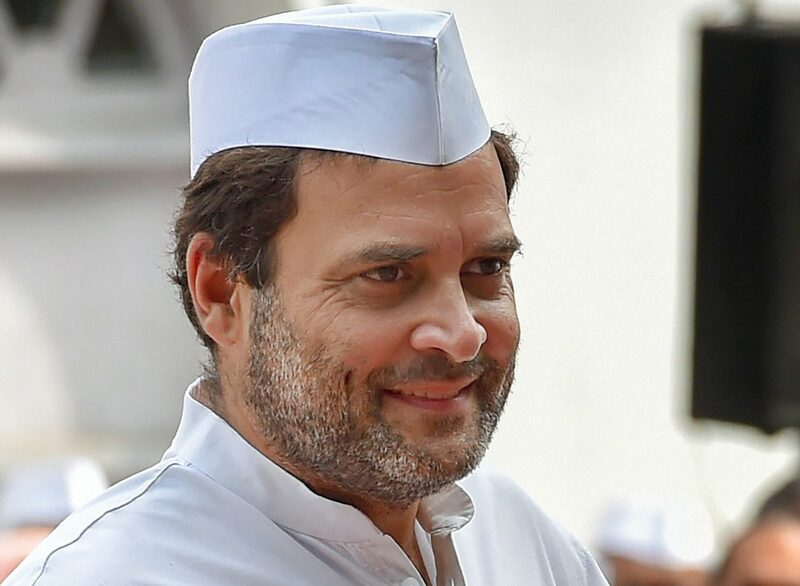 Here President of Indian National Congress Rahul Gandhi spoke on various issues openly from the 1984 anti-Sikh riots to the demonetization, from Modi Government policies to the Swayamsewak Sangh and many more. While talking about sending messages and quotes towards the Indian, Rahul Gandhi is the person who made it in a great way. He always followed the Congress policies of not getting violent and try to speak to the poor people, farmers directly to understand their issues. According to him, education can bring changes in any system. So, he always targeted to build a new education center in his constituency Amethi to make them educated. He also believes that the young generation has so much power to do some positive things for the country and thus he gave chances to all the youths on his Congress Party. also, He has championed the right of the poor and marginalized. He also led the battle against the BJP ruling government on some policies like Aadhar, Demonetisation, GST, Net Neutrality and more. – It is the time to move ahead and bring the change. – It is time for women to come forward and choose the path of sacrifice for serving the nation. – A rising tide doesn’t raise people who don’t have a boat. We have to build the boat for them. We have to give them the basic infrastructure to rise with the tide. – It doesn’t matter how much wisdom you have. If you don’t have a position, you have nothing. That’s the tragedy of India. – Let’s fight against corruption for a better India. – I have an aim – I have a clear aim in my mind, and the aim is that I do not like what I see in Indian politics; it is something that is inside my heart. – It is not important what Rahul Gandhi thinks, it is important what a billion Indians think. – I am going to make sure that transformation happens, and I will do it in ways you cannot even imagine. Do you know any other best Rahul Gandhi quote, let us know in the comments section!